We Love Our Walk-In Client's, please know we have had some exciting renovations and we certainly welcome your visit, but please understand that we have reduced our showroom display to reflect what you our clients have asked for, our showroom now serves as your event and table styling center, we will no longer display catering related items. We are grateful & thankful for all the love & support you our clients have shown us throughout the years and this change, thank you! This exciting new Event Space is now available to Book and Host Weddings, Mitzvahs, Showers, Holiday Celebrations, Fundraisers & More - 10,000 total sq feet & access to Brillman's Rentals Selections, the sky is the limit to designing & hosting your event right here in Newtown! 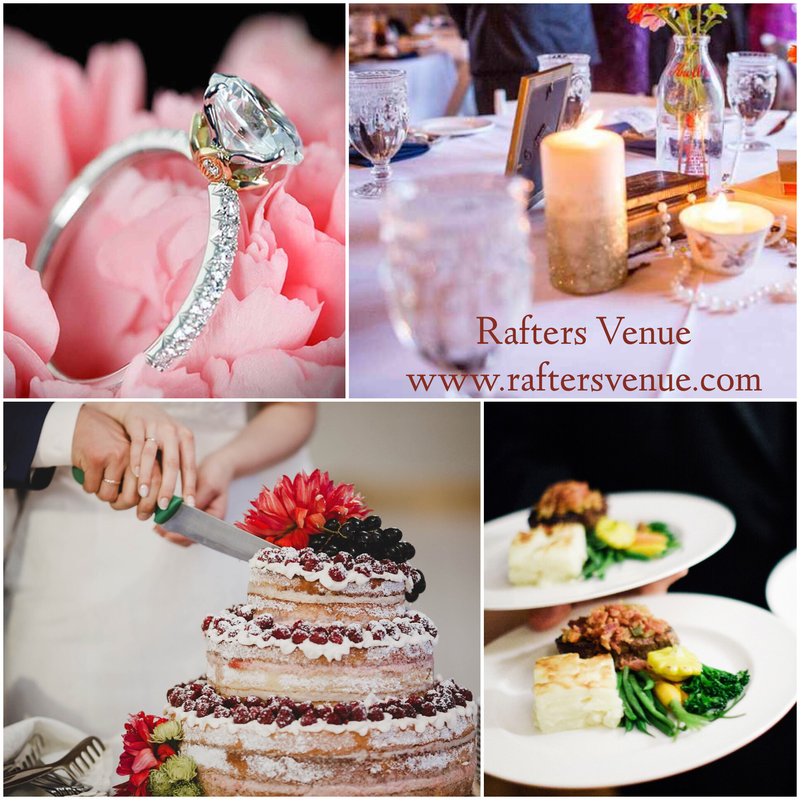 ​Visit www.RaftersVenue.com or Call 267.759.6861 for a private tour! THANK YOU for again making us the 2016 & 2017 Best Wedding Event Rentals & 2018 First Runner Up! Whether you are planning a wedding, a private party or any special event, whether you live in Bucks, Mercer, Hunterdon, Middlesex, Somerset, Burlington & surrounding counties in Pennsylvania & New Jersey, we proudly serve your area. Our family owned, 2nd generation strong business going for 20+ years, & has been the proud place where so many elegant events, Happily Ever After, birthday parties, mitzvah celebrations and more have started. Our talented event team can help you plan every detail, even find a venue to host your event! 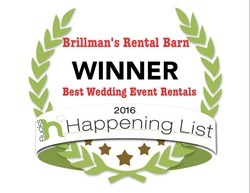 From Happily Ever Afters to Elegant Galas to Sweet 16's, Brillman's Rental Barn has everything you need to ensure that every event detail amazing and reflect your style and taste. Our award winning team at Brillman's will be sure to offer as much or as little assistance as you require. We offer many styles of tenting, dance floors, lighting, tables, including the popular farm tables, chairs, linens, china, flatware and so much more! Many claim to have large inventories, but here at Brillman's we have a huge warehouse filled with inventory and we have the operations in-house to maintain our items as well as do all of our own processing from linens to china. It is our OWN in-house processing for example that enables us to ensure among the highest quality products in the industry. Our premium linens are 100% completely processed in-house, owned by us and always delivered on hangers, all of our china, flatware and glassware, you guessed processed in-house, this allows us to not only ensure high quality but to handle those last minute changes and late additions, just another reason why so many of our clients refer to us as the premier boutique rentals company in the area. Monday - Friday 8:30 a.m. - 4​:30 p.m.
​ & 2014 Philly Hot List Best Wedding Rentals!